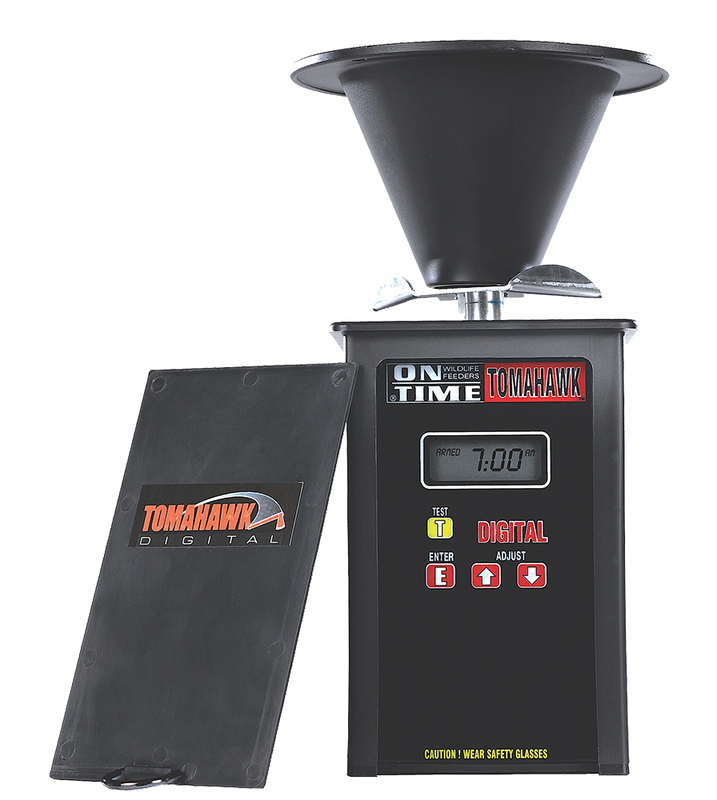 On Time's Tomahawk VL Timer utilizes robotic constructed electronics for reliability and ease of use. This unit can be easily programmed for up to 4 feedings a day with adjustable feed times up to 20 seconds. Programming is made easy by 3 on screen prompts, including an on board test feature. Its high-impact composite construction is pre-wired for solar panel and remote control. The universal mounting fits most hoppers, and it is ready to be used with 6 or 12 volt batteries (not included).